I never get enough of Instagram. I even have to stop myself cause I can post a whole library on one day. At almost every free moment I take my phone and check the updates on Instagram, scrolling trough this feed all day long is one of my obsessions. Photos are such an easy way to read and understand something, they tell so much more than a piece of text. People also put a lot of efforts in their photos which makes it all even more beautiful. That's also the reason why I'm sharing my favorite Instagram accounts with you today. 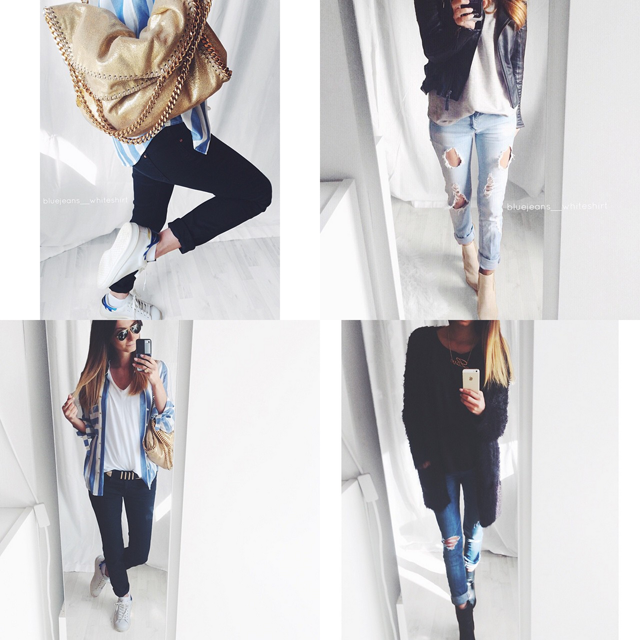 bluejeans__whiteshirt: Most of the time she posts mirror photos showing her outfit of that day. 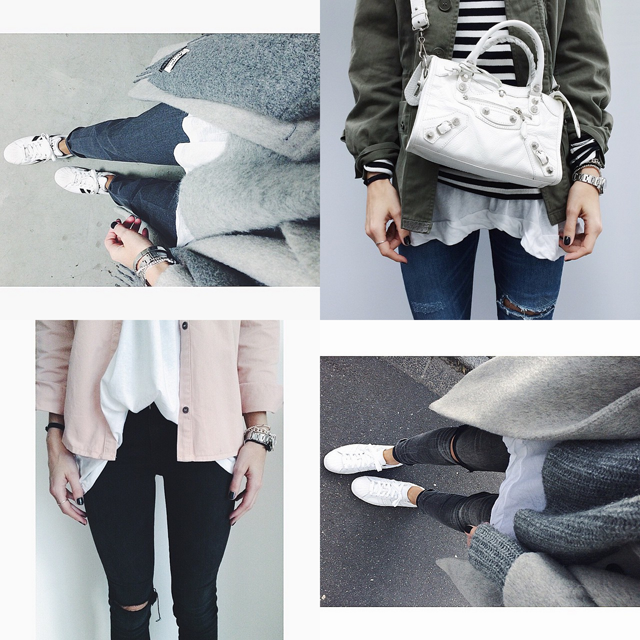 I love to follow here because of her style. She's a good inspiration for everyday outfits with just that little extra. Just like her Instagram name says, she's a big fan of blue and white combinations. Maxxsera: How beautiful is she!? Her hair, her face, everything looks perfect. 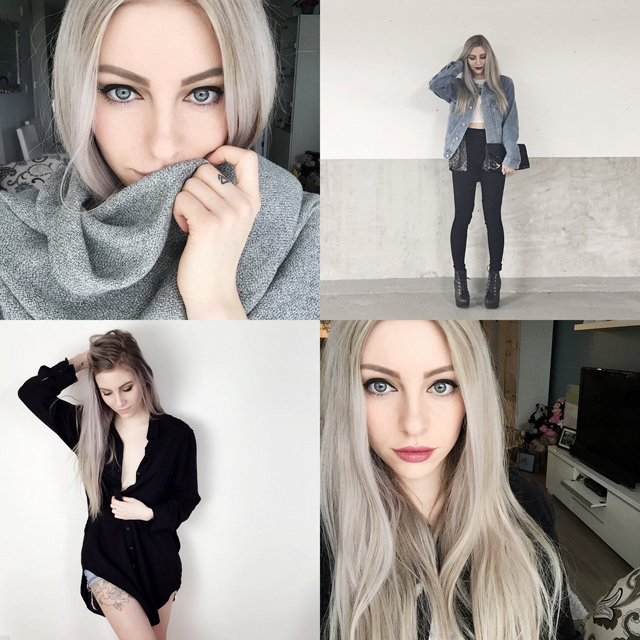 She has a different style than most of the bloggers, which I also appreciate a lot. She posts random photos and loves pandas, definitely a good reason to check her account! 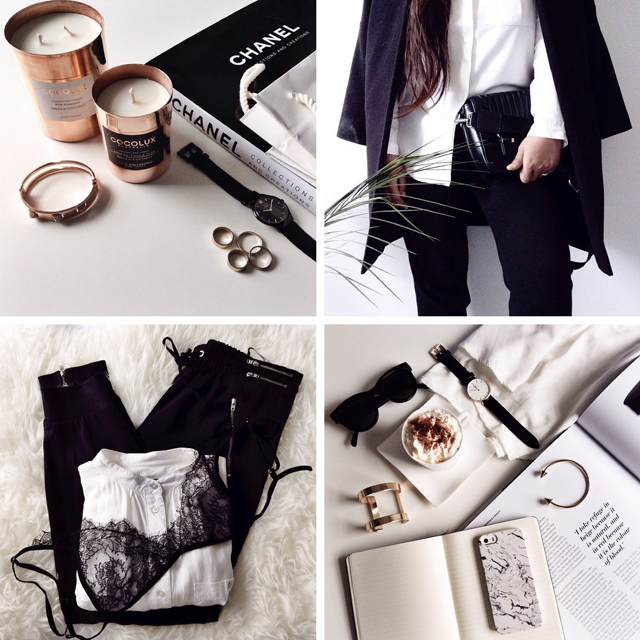 Viva_la_wow: One of the first accounts I follow since I have Instagram and I still love her feed. 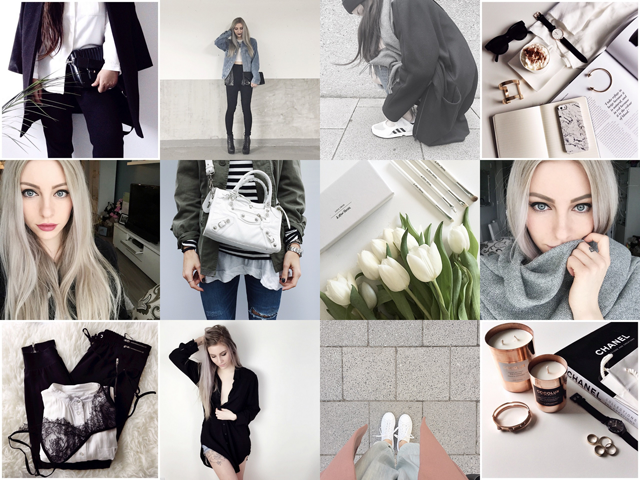 She doesn't have a blog and only shows her style on Instagram with the famous 'from where I stand' photos. 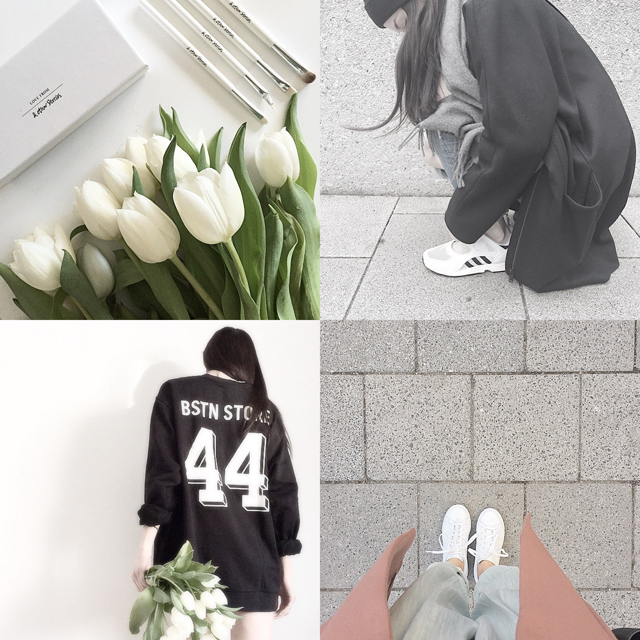 Her style is minimal and she mostly wears black grey and white colors. Sometimes you can spot a little bit of pastel colors but don't expect bright colors on here feed. Except outfits she also posts new purchases and food photos. 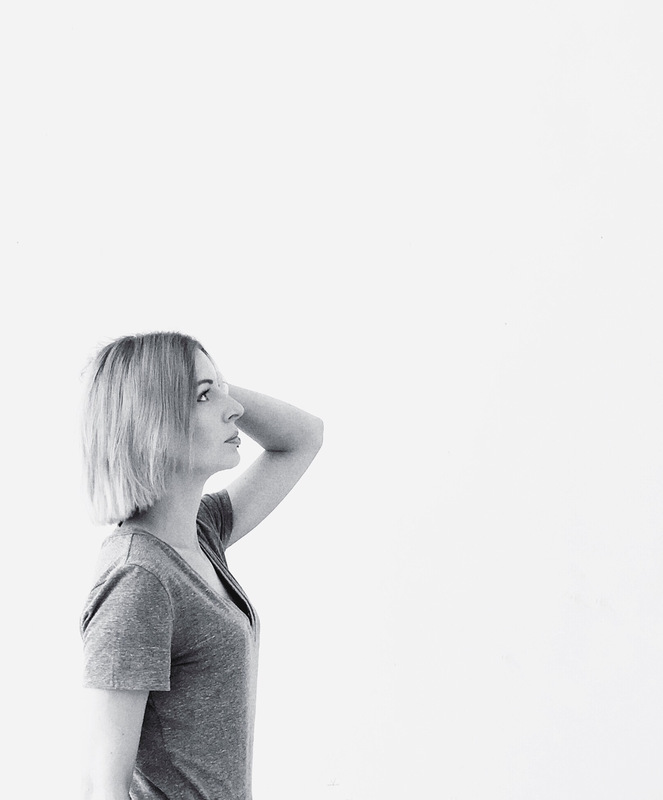 _arkdsh_: In some way her photos alway catch my eye. That's a good thing of course. Her feed is filled with random photos, black and white with sometimes a bit of color. The potential thing about her account is that's is kind of mysterious, she doesn't show much of herself. Who are your favorites Instagrammers? Maybe I can discover some new ones to follow! Wow, really love Maxxsera's account thanks for sharing it! Maxxsera is echt mooi, wauwie! En ik ben wel héél vereerd om in het lijstje te staan, té lief haha!